Our legal system is very adversarial. We have been taught that when there is a dispute, sides have to be drawn. We then have to fight to make sure our side prevails. We think that if we fight hard enough, we will get what we want. Unfortunately, it doesn't work this way. Everything you do to have your side come out on top is calculated to have the other side come out on the bottom. Since the other side doesn’t want this to happen, that person has to fight to protect him or herself from you. Then you feel threatened and have to fight harder to protect yourself from the other person. Then the other person has to fight harder to protect him or herself from you. This quickly results in a cycle of conflict that can easily escalate out of hand. When you do this in the legal system, it can be incredibly expensive and destructive. Some people never recover from the hurt of a divorce. Fortunately, all of this suffering can be avoided. To avoid the legal nightmare that frequently accompanies divorce, do everything you can to heal your relationship, one human being to another. Remember, every time you interact with the other person, you will either create love or destroy it, and whatever you give will come right back. The first step in the divorce process is to find a non-adversarial attorney. Attorneys that do mediation or collaborative law are more inclined to be peace makers than gladiators. A gladiator attorney can cause lots of suffering. Once you find an attorney, get all the advice and information you can. Learn what the law says about your situation and find what issues need to be resolved. Then go home and resolve them. Work out all the details between the two of you and use your attorneys as advisors rather than adversaries. Once you have worked out the details and come to an agreement that works for both of you, take it back to the attorney and have him do the paperwork. When you are able to resolve the issues by yourself, the legal process goes quickly. When you let adversarial attorneys resolve your issues, disputes get resolved by tug-of-war. The case can go on forever and cost a fortune in legal fees, not to mention the cost in well-being. If you are already deep in the legal process, it's never too late to turn your situation around. Get in communication with the other person. Clean up your relationship and start working together to resolve your issues. 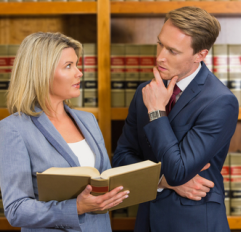 Sometimes, the other person is so dishonest or uncooperative that communication with the other person is a waste of time and you need an attorney to protect your interests. If this is the case, let your attorney take care of you, but make sure he doesn't become too adversarial. When an attorney takes an aggressive action against someone, it's an attack. Sometimes it's like bombing Pearl Harbor. Your attorney may have taken the action, but you are the one that gets the blame and you are one that has to suffer the consequences, not your attorney. Remember, your attorney works for you. You don’t work for him. If he insists on being too aggressive and escalating the conflict, you may need to let him go. The quality of your relationship with the other person is very important. This is especially true if you have children. So keep your focus on the long term and look for factors other than money. It may be more important to have a good relationship than a bigger bank account. At the same time, you don't want to sell your soul to make someone happy. That won't work either.